SNAFU! : US Marines onboard French Amphibs for a deployment? US Marines onboard French Amphibs for a deployment? A French Navy amphibious task group got underway from the Toulon naval base on Wednesday, November 21, for a deployment to the Mediterranean Sea and Indian Ocean. Composed of Mistral-class amphibious assault ship LHD FS Tonnerre and the Horizon-class air defense destroyer FS Chevalier Paul, the task group will also be spending time in the US 5th Fleet area of operations integrating into the command and control structure of US Naval Forces Central Command. In addition, some 150 US sailors and marines will embark aboard the Tonnerre while she operates in the region. In the spirit of the commemoration of the 100th anniversary of World War I, and in memory of the sacrifices of US Marines during the second battle of the Marne, this deployment is named Bois Belleau 100. The US Navy has welcomed this deployment saying it would pre-position an important amphibious operational capability in an area of common strategic interest. 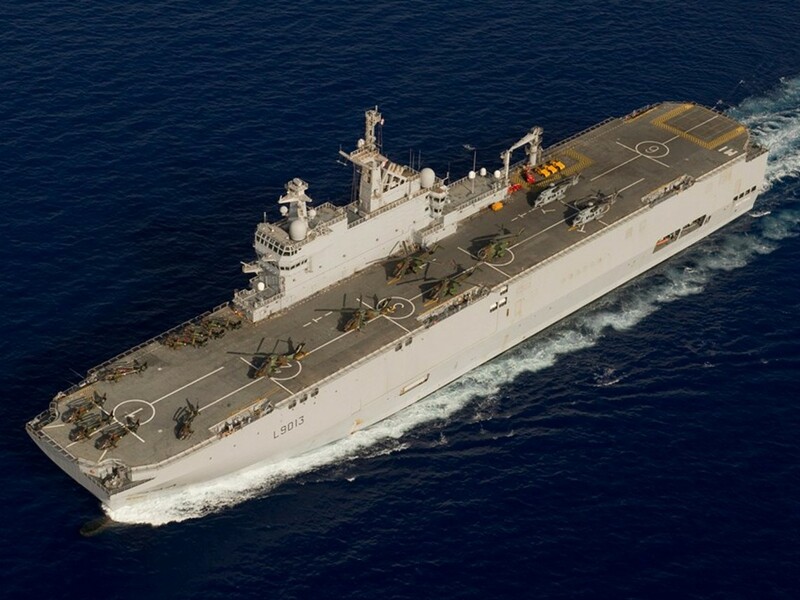 US and French personnel previously cooperated and trained together between April and May this year as another French task group, composed of FS Mistral and frigate FS Courbet, carried out the annual French Jeanne D’Arc deployment.